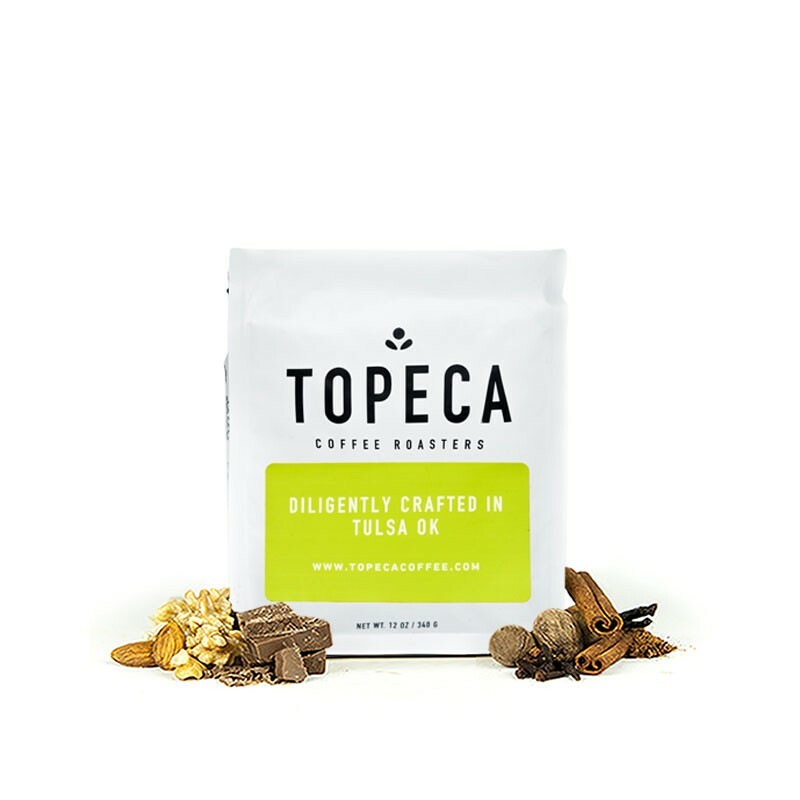 The El Salvador Ayutepeque was carefully roasted for you by Topeca Coffee Roasters. Topeca is one of the few companies in the world with fully vertically integrated model. Their family grew this coffee on the Ayutepeque farm in El Salvador where they have a hand in every step of process from planting the coffee plant to hand picking the ripest cherries to roasting it. This coffee is rich and approachable with a combination of pecan, maple and milk chocolate flavors. I like the flavors but seems to brew a touch weaker than expected. OK, notes weren't super strong on Kalita or French Press. Would definitely describe as nutty but almost no chocolate flavor. Good flavor, Roasted well, nice and bright, but the coffee felt flat, there wasn't a lot of depth. Additional notes: I really like the flavor profile of this coffee, the cocoa and graham notes are enjoyable, and it has a good acidity, there's just not enough body. A great and well balanced cup of coffee. Floral on the nose with with strong flavor notes of toffee and toasted almond that give way to creamy milk chocolate. A low acidity level gives this cup great versatility in pour over and cold brew methods. I love topeca roasters. Everything they do is phenomenal. Great body and flavor. I really enjoy this coffee! This coffee is much earthier then described with a light bitterness and is overall kinda flat. I don't hate it, but I don't love it either. Was really excited about this one after a recommendation from a friend but found it to be not strong enough for my taste. It was hard to pickup on the nutty chocolate notes as described. Not a bad taste but not much flavor to it. Bold enough for after dinner, earthy and nutty flavors. I thought I was really going to enjoy this one, but the nutty flavors seemed overpowering to me. Hard to find the milk chocolate. Chemex brewed. This is great! Perfect with or without milk, ice or hot. Definitely one of my favorite coffees so far. You get those hints of chocolate and a little bit of nuttiness, not too strong, with a nice, smooth flavor. Highly recommend this coffee. Very very good coffee. Love the aroma and roast level. It would be nice if it was slightly lighter in roast but it's still a great coffee. Not my favorite, maybe a little too earthy? I think I like a little bit sweeter. Delicious and smooth. Carmel, praline, vanilla. Fantastic as a Kalita. Very solid. We exclusively use an aeropress for our coffee, and this has been coming out nice and smooth. Rich, but not too rich. Good coffee! This bean had a great chocolate taste with a hint of citrus. I enjoyed the cup, it was balanced, light, and full at the same time.